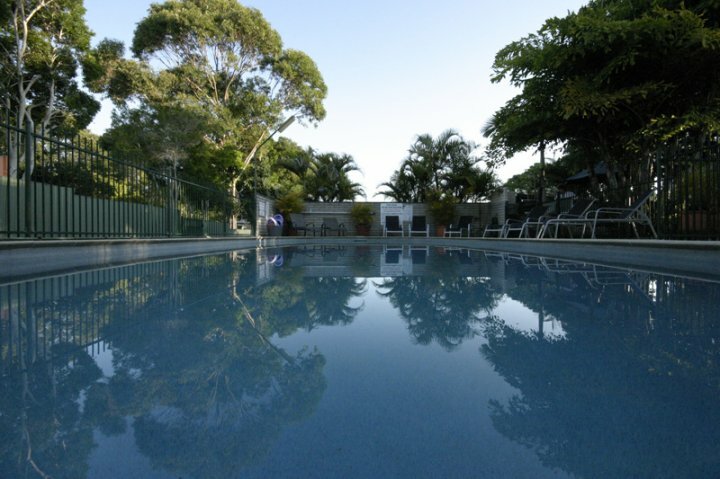 The Sunseeker Motel is ideally located, opposite the beach and parkland's on the Esplanade in the Centre of Hervey Bay's tourist strip. 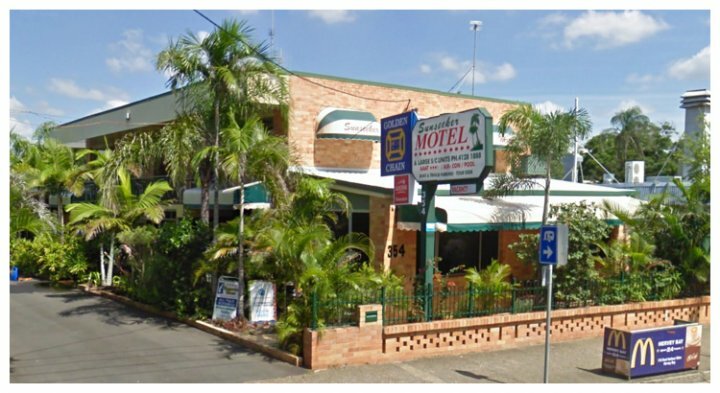 The Motel offers quality 3.5 star spacious accommodation and exceptional personal and friendly service. 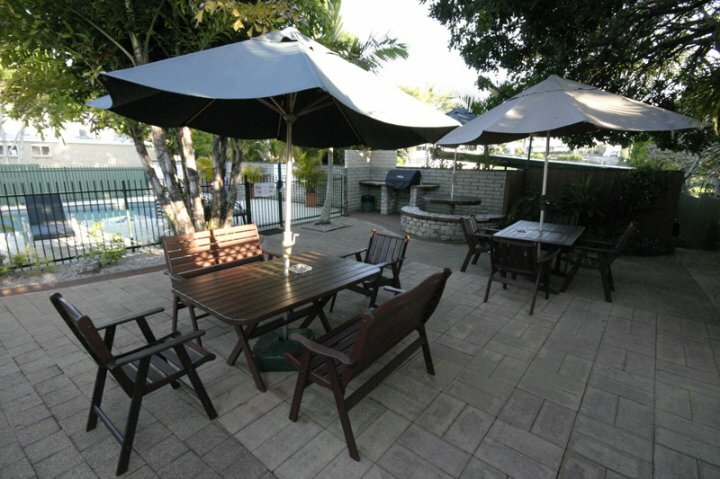 Guests have the choice of motel style accommodation on the ground floor or one or two bedroom self-contained apartments on the first floor. New reverse cycle air conditioning and ceiling fans are installed in all the units. Austar channels are offered in all units. Free WIFI is available to all of our guests. We have a large swimming pool for guests only, and a babeque in our beautiful motel garden. Sunseeker motel is a non-smoking motel, although guests may choose to smoke outside their units. When you park at our motel you can relax, most things are within walking distance. Restaurants, supermarket large hotel/pubs chemist newsagency, coffee shops etc. Standard Double or Twin room are on the ground floor with parking at the front of the unit. Price is based on one or two people using 1 Queen Bed Only. Our One Bedroom Apartment is located on the first floor. It has its own balcony with table and chairs to enjoy the morning sun etc. The bedroom is spacious and has a Queen and a single bed tall boy tanned tv. There is a lounge room with a three seater sofa, two lounge chairs tv and table. It has a full kitchen with a large refrigerator. Ground Floor unit with one Queen bed. Maximum guests 2. Fully contained Kitchen with extra large fridge. Dining area. Suit people who would like to stay for a longer period, or just have more cofort. The 2 Bedroom apartment is located on the first floor with its own balcony. The Main bedroom has one Queen and one Single bed. The 2'Nd bedroom has a double and a single bed. This Rooms can take up to 6 people. With prior acceptance we will allow 6 people. A full range of tours may be booked at the motel tour desk. Guests may choose from 1, 2 or 3 day tours to world heritage listed Fraser Island. From July to October the majestic Humpback Whales visit the Bay and provide the best whale watching in the world. There are also a selection of many tours, Lady Elliot Island, trips to Maryborough & Bundaberg, fishing trips and more attractions from which to choose from. We can arrange your courtesy pick-up from the motel for all tours and for the RSL and Boat Clubs. Check in time is 2 pm unless prior arrangement and availability. Check out time is 10 am. Free parking for all guests in front of units + plenty of parking for those who arrives in large vans, have boat trailers & heavy vehicles. For those guests looking for a little exercise there are more than 14 Km of walking/running and cycle track along the longest Esplanade in Queensland. There are a range of strategically placed exercise equipment along the way. There is a Free large Children's Water Park less than 15 minutes walk away. There are lots of parks with free barbeque facilities along the foreshore with undercover tables for larger gatherings. Ofcource Hervey Bay is the gateway to Fraser Island, and do have the best whale Waching in the world. Beautiful beaches everywhere with safe swimming.